An ETSU alumni and faculty member, sang at the New York Stock Exchange annual tree lighting event this past week. Sally Berry, a voice instructor at ETSU, sang the popular Christmas song “Mary, Did You Know?” written by Mark Lowry and Buddy Greene in 1991, at the event, which is one of the oldest tree lightings in New York City. Berry was invited to perform at the NYSE Tree Lighting after a January 2018 performance at the official opening of the Grand Ole Opry City Stage in New York City’s Times Square with her mother, famous bluegrass legend Rhonda Vincent, and her mother’s band Rhonda Vincent and the Rage. In 2009 she performed internationally with her sister in a band called Next Best Thing. 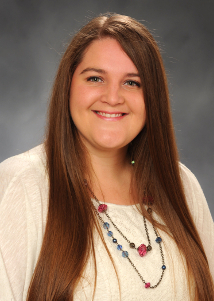 Berry graduated from ETSU with a degree in sociology in 2011 and began teaching at the university in 2012. Her performance was live streamed on the NYSE website.